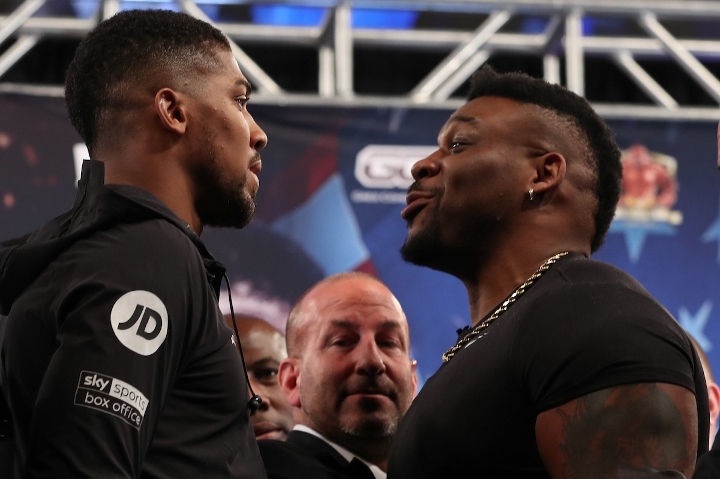 Jarrell Miller says world champion Anthony Joshua has an “image problem” as the pair prepare to meet at New York's Madison Square Garden on June 1. Joshua, 29, will defend his IBF, IBO, WBA and WBO titles against unbeaten Miller. Miller believes Joshua’s claims of “being a thug” are not true because of his home counties upbringing. “He is from an area not known for being tough,” Miller told BBC Radio 5 live’s Boxing with Costello and Bunce podcast. Brooklyn-born Miller, 30, grew up in a “rough broken home” and says he took up combat sports to defend himself after being attacked in the street. Joshua, meanwhile, was raised in Hertfordshire but, until the age of 14, lived on Watford’s Meriden estate — one of the town’s most deprived areas. Miller has previously suggested Joshua had benefited from a privileged route to success, to which his opponent responded by saying, “I got banned from the area I was growing up in because I was getting into too much trouble. Both fighters are unbeaten and Miller — who is nicknamed “Big Baby” — says he will show his “grit” before claiming victory on home territory. Miller — likely to be Joshua’s heaviest professional opponent having weighed 22st 7lbs for his last contest — said, “I’m more intelligent than AJ, but sometimes I come across as arrogant because I’m a warrior. There is no such thing as being humble at war. The mental focus is about picturing the aftermath, but before I get to the glory, I have to show the grit.
" Him and [WBC champion] Deontay Wilder did their best not to say my name because the minute they do the media start asking me questions. I just got my record up and do what I could. But then I got too tired of waiting so I started turning up at press conferences and talking some junk to get their attention. "If it was left to them or [promoter] Eddie Hearn then the fight might not have happened any time soon. By me being a media force and telling them how I feel... I'm being real and funny - people gravitate towards that." Boxing and the HW division will be way better if Miller beats AJ.